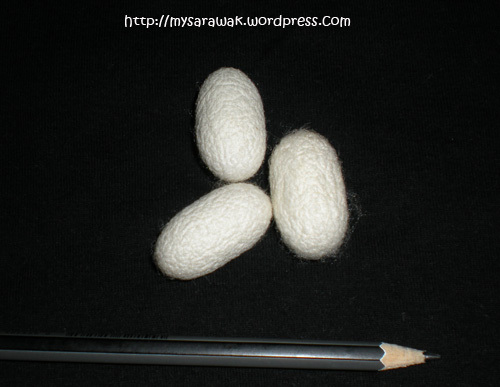 It doesn’t look anything like the silk dress you wear or the silk tie around your neck but these are silk worm cocoons… where the smooth silks come from. My family was visiting Sematan and decided to drop by the silk farm on the way back. This silk farm is operated by Zuhrah Pelangi Sdn Bhd. 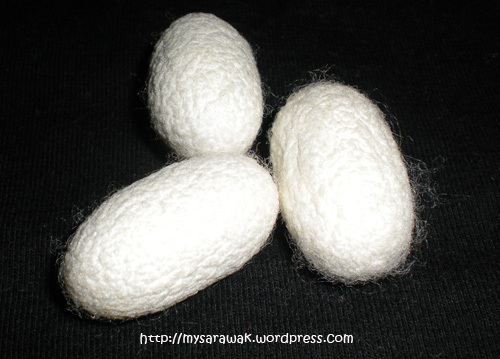 They rear silkworm cocoons for export and also make silk quilts for local and foreign markets.